As the first orders of Sweet, the revolutionary door furniture range start to come in from the initial wave of customers, the very first door has now been installed with this registered curved design in hardware to spectacular effect. With stocks arriving at the end of July, this was a photographic opportunity too Sweet to miss with the first batch of product samples, which have also gone through a successful and comprehensive testing programme for weather resistance and operating cycles. Over the coming weeks and months some highly trusted and respected brands will in turn announce their Sweet adoption. The installation itself featured handle, letterplate, knocker and numeral from the Sweet range, along with a 3 Star Ultion cylinder, all from Brisant Secure. 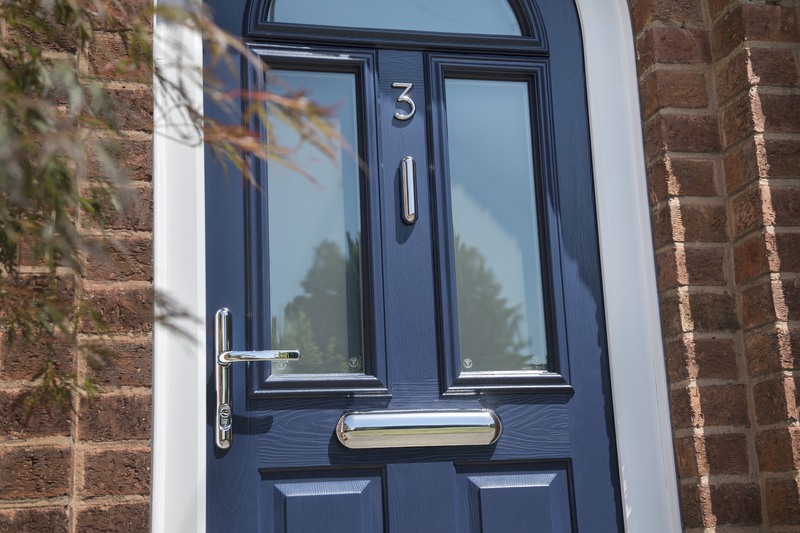 In this interesting case study, the door itself was a bespoke arched PVCu frame with carefully manufactured door slab in a rich blue and installed on a 1950’s suburban home. Nick Dutton CEO of Brisant Secure commented: ‘We’ve brought in some early samples for testing, sales presentations and also to get onto the first door. I was there with the photographer eager to see Sweet gracing our first composite door and it looked nothing short of sensational, providing real designer appeal, suited co-ordination and the benefit of material specification that’s achieved over 8,000 hours in the salt spray chamber. 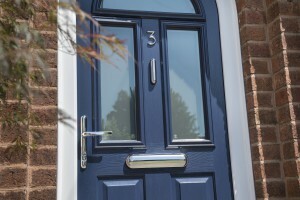 For further information on Sweet visit www.sweet-doors.co.uk, e-mail sales@brisant-secure.com or call 01924 410200. You can also follow Brisant Secure on Twitter @BrisantSecure for all things Sweet.